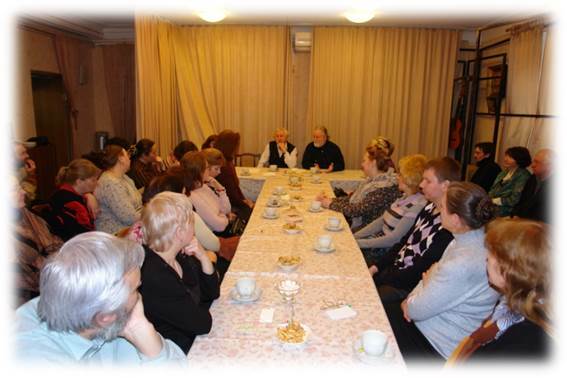 An interregional social movement supporting Family Sobriety Clubs (MOD SKT) was found in 2011 . It unites tens of clubs in different regions of Russia particularly in Moscow and Moscow region, St-Petersburg, Kaluga, Sterlitamak. 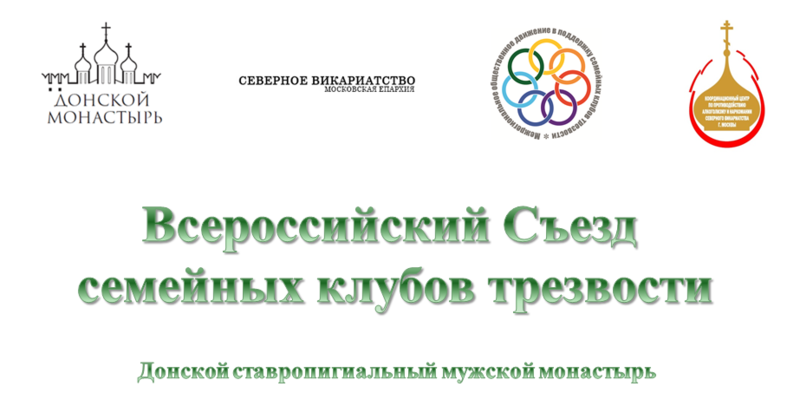 The Movement collaborates with church, government and social organizations, particularly with Coordination center of synodal department of church charity and social service of Russian orthodox church, Center of mental health, Moscow scientific practical center of narcology. It specializes on alcoholism and drugs addiction resistance . An interregional social movement supporting family Sobriety Clubs is a founder and an organizer of international festival “Tatev reading” in Tatev village of Olenino district of Tverskaya region- motherland of S.A.Rachinskiy. 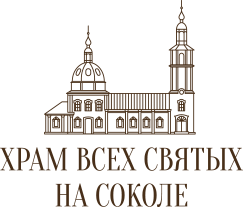 An Orthodox family Sobriety Club (SKT) – is a community of families gathering in orthodox churches, which are united in order to solve the addiction problems. 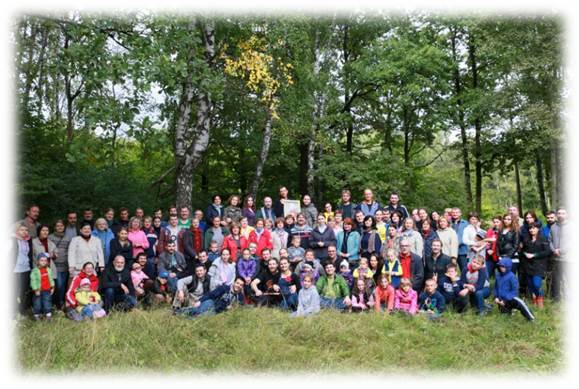 Families gather aiming at unification of their efforts on their way to sober way of life and spiritually-moral formation. The work of Orthodox Family Sobriety club is based on the conception of family type open sobriety clubs which is developed by an outstanding professor of psychiatry Vladimir Hydolin; on Tamara Alexandrovna Florentskaya’s methodology of spiritual interviews; on a huge experience of sobriety societies, the head and founder of which is Sergey Alexandrovitch Rachinskiy, the Russian scientist, teacher, enlighter and professor of Moscow University, a corresponding member of St-Petersburg Imperial Science Academy. 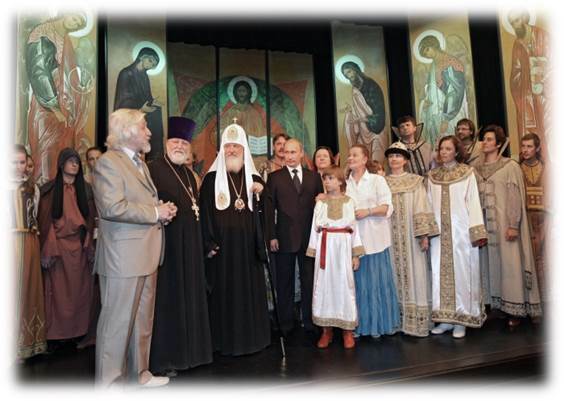 Orthodox Family Sobriety doesn’t replace the church communities as it doesn’t have religious and soteriological goals but can be an effective support in solving people’s everyday problems. What are Orthodox Family Sobriety meetings aimed at? Not just refusing from alcohol and drugs but changing the personality, his family and way of life. What is the format of the meetings of Family Sobriety club? Conversation instead of lectures because the club is not a community of veterans who fight for sobriety, but a community of people who are united by same trouble. How are the Family Sobriety club meetings held? Once a week during 2 hours in a family circle having a cup of tea. Who are the members of the Family Sobriety club? From 2 to 12 families and a club member. Usually a position of parents and kids, their relatives suffering is represented; of those who are making the first steps to sobriety and also of those who have already achieved significant results. What do they talk about in the Family Sobriety club? About family relations, bringing-up children, various situations at work, the problems of their addiction. In case if people whose relatives or friends have problems with addiction come to the club, a significant attention is paid to the problem of “codependency” and to psychology of relations and behavior of relatives towards their suffering close friends. The most complicated questions can be discussed individually with the specialists (priest, psychologist, expert in narcology). What are the results of Family Sobriety club work? 70 % of those who regularly attend the meetings of Family Sobriety club come to a constant remission- the condition without taking drugs or alcohol. Does the participation require payment? On the 18th of July in 1882 S.A.Rachinskiy together with his pupils pronounces the promise of refuse from alcogol and establishes sobriety “agreement” in the church in Tatevo village of Tverskaya region. It was aimed at adduction of people to sober way of life. Following his example there started to appear similar communities in many towns and villages. By 1913 there existed more than 2000 of them with about 500 000 members. 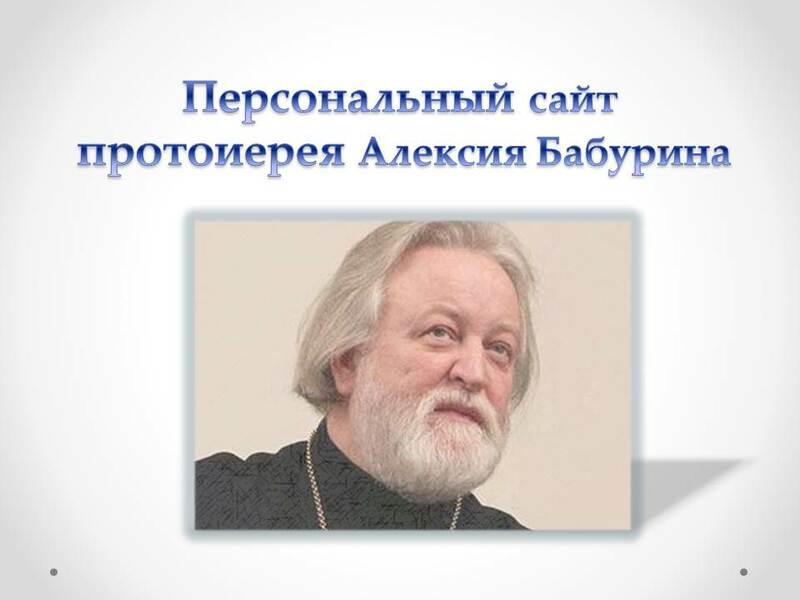 On the 5th of December in 1992 archpriest Alexei Nikolaevitch Babyrin, a cleric of Russian Orthodox Church, a research officer of Scientific center of mental health of Russian Academy of Medical Sciences, after probation period in Italy, working with professor Renzo De Stefani who was the successor of V.Hudolin, got the blessing of hierarchy and initiated the opening of the first OFS in Russia at Nikolskiy church in Romashkovo village in Moscow region. Father Alexei Introduced his experience gained in pre-revolutionary Russia to V. Hudolin’s approach.